Vote in the 2015 Elections for BALIF's Board of Directors! It’s election time! We have a fabulous and diverse group of candidates seeking election or re-election to the BALIF Board of Directors this year. BALIF’s bylaws require gender parity on the Board, with equal numbers of positions allocated to Directors who identify as male or female, and additional positions allocated to those who identify as gender non-conforming. Please cast your vote on-line no later than 4pm on April 15, 2015. After that time, you will need to vote in person at the BALIF Annual Meeting and Election Night Happy Hour on April 15, 2015 from 6pm to 8:30pm at the Sausage Factory, 517 Castro Street, San Francisco, CA. Free food and drinks will be available, so meet the candidates and join us for a great event even if you already voted! You will need to cast your vote in person no later than 7pm when the polls completely close and votes will be tallied. 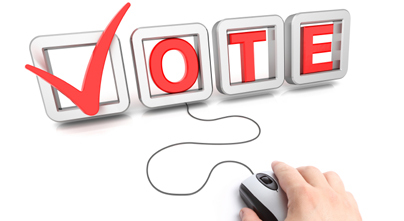 If you did not receive an online ballot and would like to vote, please contact balif@balif.org.